Lynden Door is one of North America's premier manufacturers of quality architectural, commercial and residential doors. We offer a blended product portfolio that delivers interior door products to suit a wide range of specifications and price ranges. A leader in door design since 1978, Lynden Door will open your future with doors that serve as a significant and powerful element in your decor. Operating since 1983 with humble beginnings in Vancouver BC as a manufacturer of decorative glass inserts for steel door fabricators, Trimlite has evolved into a manufacturer and distributor of exterior & interior doors, decorative door glass and millwork products for the building materials industry. We pride ourselves in partnering with select vendors who manufacture premium building materials – Simpson Doors, Plastpro, and Cardinal IG to name a few. Our customer base is broad and represents strong relations whether they are door prehangers and distributors, or major steel, fiberglass, and wood door manufacturers. With glass and stile-and-rail wood door manufacturing facilities in Asia and distribution locations in Canada and the USA, Trimlite strives to provide the best door and glass products in the industry. What kind of services do Victoria door dealers provide? Door dealers are responsible for a variety of services, including door installation, replacement, door repair and custom door design. If you need a new door, Victoria, BC door dealers will help you determine what kind you need, as well as shape, color, size and more. From barn doors to French doors to front doors, these professionals can help you choose, install and maintain your door investments. Wood doors are beautiful, versatile and tend to be the most popular choice for both interior and exterior doors; they are easy to custom build, and include oak, cherry, walnut, mahogany, maple, fir and pine. Some standard wood doors have MDF cores wrapped in wood veneers, which minimizes the chances of warping as real wood expands when wet and contracts when dry. If your heart is set on a wood door but you think the Victoria, BC climate might cause it to warp, talk to your door professional about a furniture-grade veneered door. Aluminum doors have an insulated core and come in a variety of colors and finishes. With a baked-on enamel finish, they won’t rust or need repainting, and many come with a 20-year warranty. Next to wood they are the most expensive and have to be custom-made. A Victoria, BC door dealer can help you find a reputable aluminum door manufacturer. 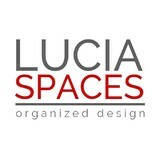 Find door dealers and installers in Victoria, BC on Houzz. 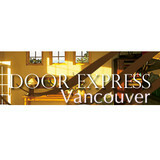 Look in the Professionals section of our website and search for Victoria, BC door dealers and installers. Read reviews, look at project photos and see how a pro can help with your home improvement project.